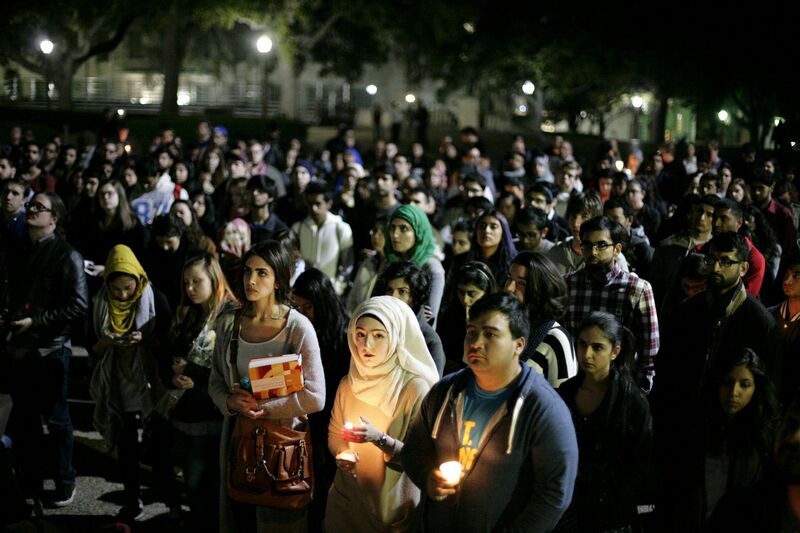 Over 300 members of the UT community gathered on the front steps of the Main Building on Thursday night for a vigil in memory of three Muslim students at the University of North Carolina–Chapel Hill who were killed in their apartment Tuesday evening. Police charged Craig Stephen Hicks with three counts of first-degree murder for shooting Deah Barakat, Yusor Abu-Salha and her sister Razan Abu-Salha. Officers said the shooting was the result of a parking dispute, but the victims’ families said the act was clearly a hate crime. English professor Snehal Shingavi said the repercussions of the UNC shootings stretch across the country, including to the UT campus. “It has now become very, very clear that the sort of racial debates that happen in America are finding their place on campus,” Shingavi said. 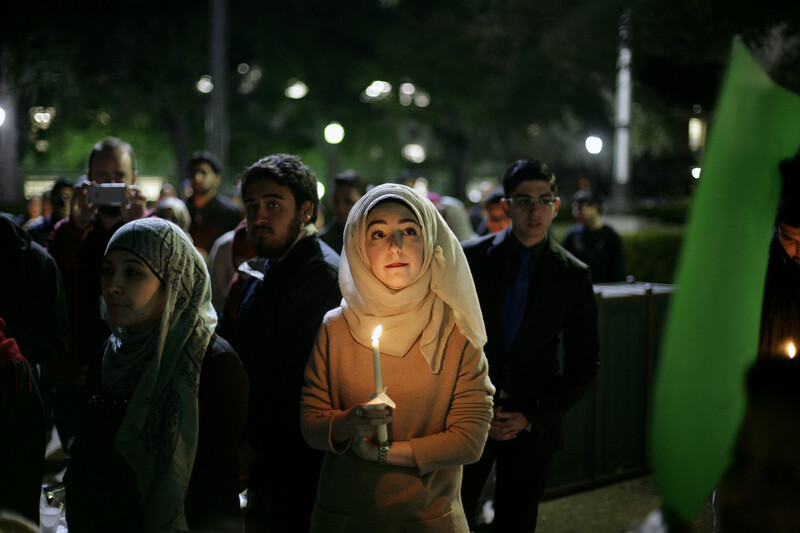 Because the victims were college students, the vigil held a personal importance for many attendees, according to Usama Malik, president of Ahmadiyya Muslim Students Organization. 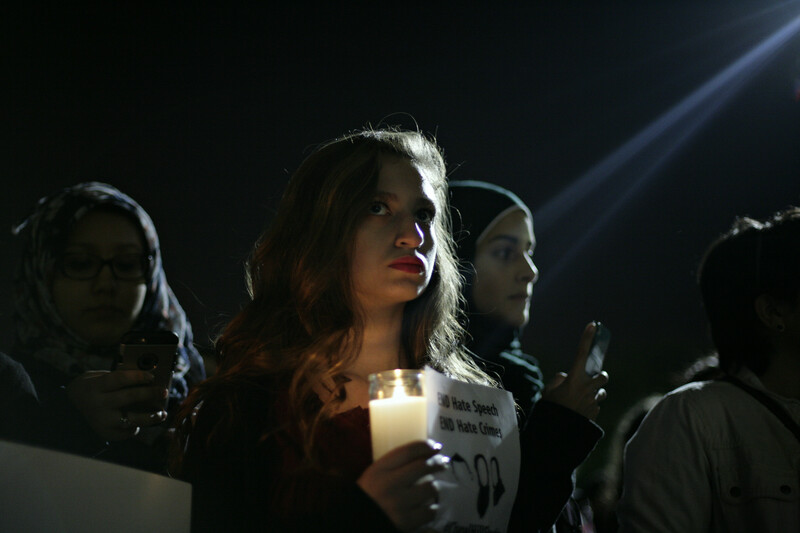 Several speakers cited Islamophobia, a hatred, prejudice or fear against Muslims, as a cause of the events that occurred in Chapel Hill. Shaykh Mufti Mohamed-Umer Esmail, an imam, or Muslim worship leader, at the Nueces Mosque in West Campus, said those who are persecuted should not have hatred toward the persecutors.